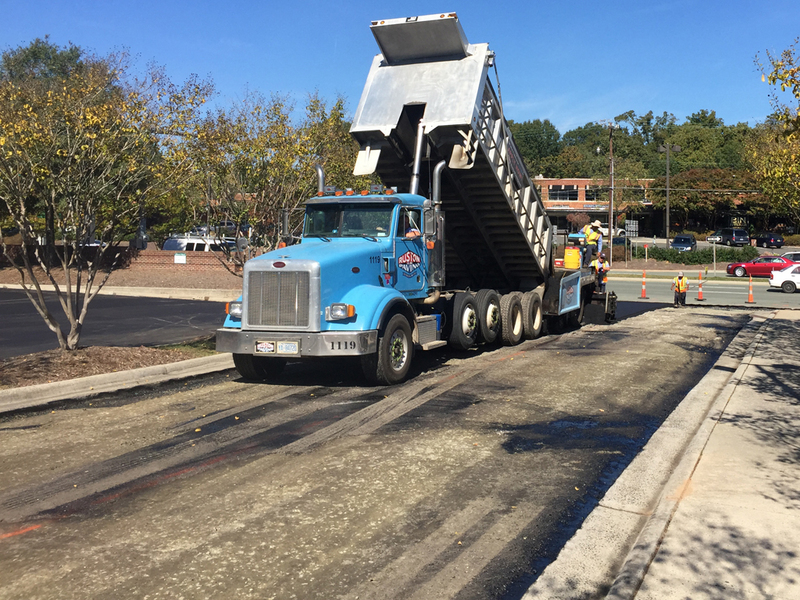 Client: Flagler Holding NC, Inc.
Ruston Paving crews from our Triangle Region NC Division worked diligently on a 5 phase project at Glenwood Square Shopping Center. 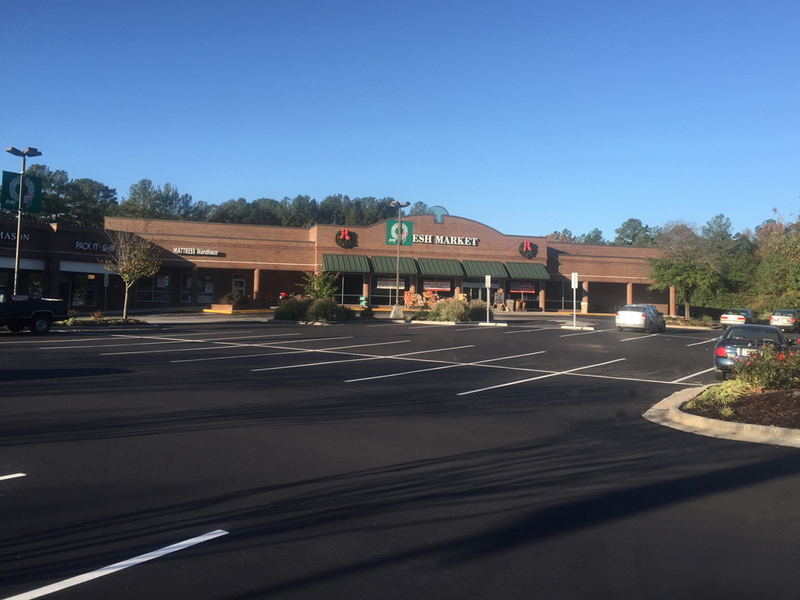 Due to the shopping center’s high traffic volume, we were unable to work or have any lots closed down on the weekend. 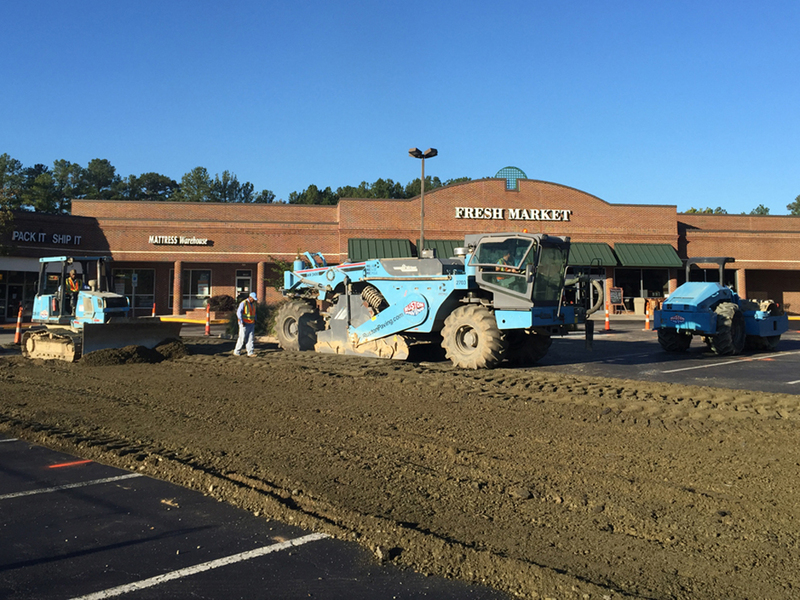 Fresh Market, the anchor grocery store in the center, was in the midst of its holiday busy season. 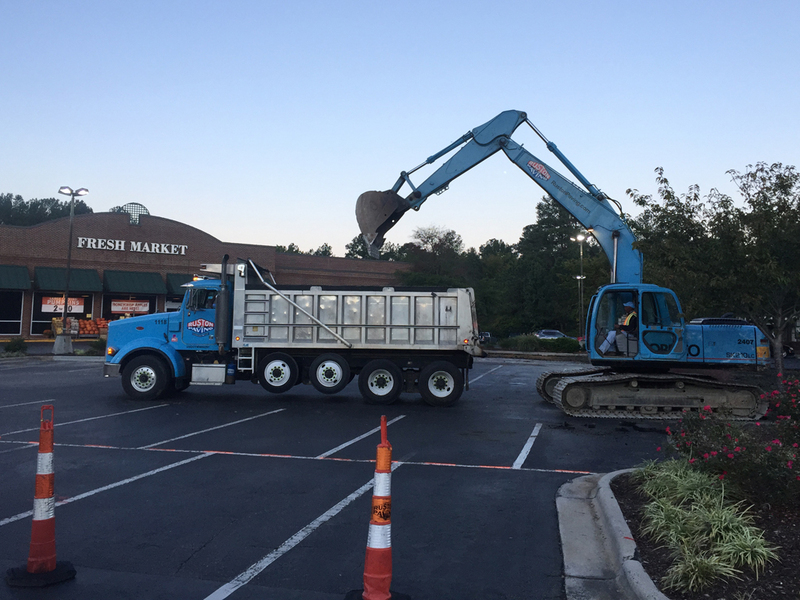 Suffice it to say, this was a high pressure job that required a coordinated effort from all involved. 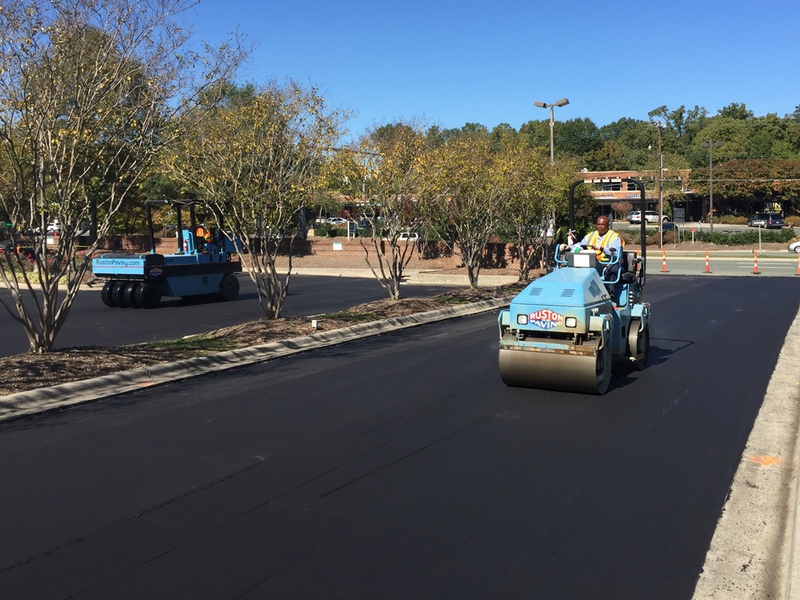 We were able to use a combination of asphalt milling and paving for the interior roads and full depth reclamation in the parking lots to renovate the center.